Published: 09:36 Thursday - March 23, 2017 Phu Quy Island is as dazzling and sparkling as its name, which in Vietnamese means wealth and honour. It is one of the many rising stars among the islands of Viet Nam. 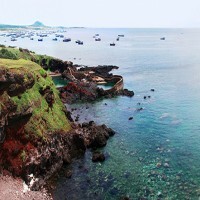 Phu Quy island Binh Thuan’s tourism industry’s rustic gem and remains relatively unknown. The island is also called Thu isles or Khoai Xu isles. The prime time to visit Phu Quy is from December to June, when the weather is cool, with golden sunshine and the sea is clear and peaceful. Phu Quy impresses visitors not only with its beautiful and pristine scenery, but also with its people’s hospitality. You should stay on the island for at least two nights to fully explore and experience the island. Tourists can rent a motorbike for VND 100,000 – 200,000 per day to ride around the island. This is an ideal location for camping or having parties with friends. A special attraction on the island is Phu Quy lighthouse, located on Cam mountain, about 3 kilometres from the port. You should obtain permission from the border guards to explore the lighthouse. Visit the 250-year-old Linh Quang temple Van An Thanh where a number of preserved sea turtles and whale skeletons are on display. Also worth an excursion is Linh Son temple on Cao Cat mountain is home to a majestic Guanyin statue. 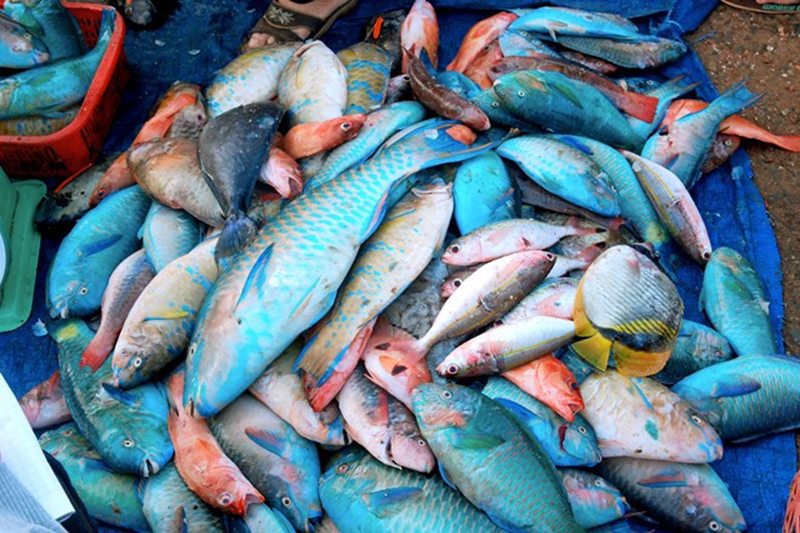 At dawn visit Long Hai fish market to experience its bustling atmosphere and buy fresh seafood that one of the locals can prepare for you. Sunrise over Doi Thay Cape or Cam mountain makes for a spectacular scene. 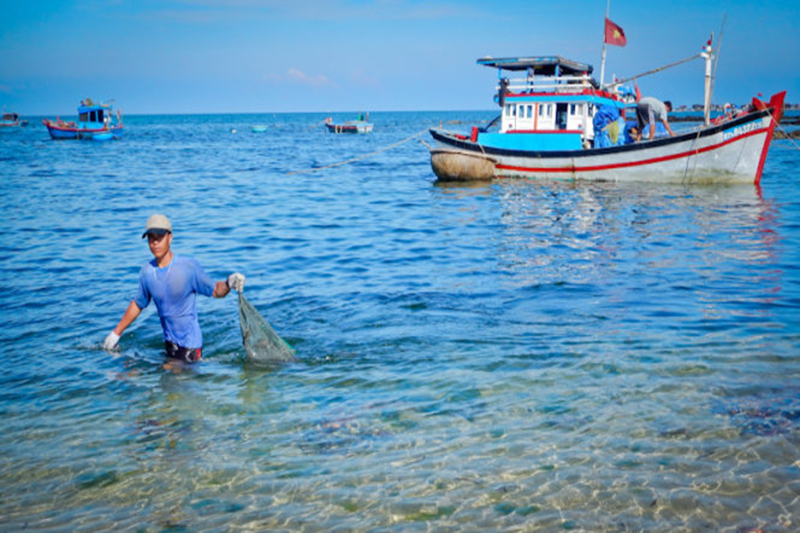 Tourists can rent a boat to visit nearby smaller islands such as Hon Den, Hon Tranh, Hon Trung, Hon Giua, or Hon Hai, which has had a traditional shark fishing industry for generations. The island has many delicious dishes on offer from seafood banh canh (thick noodle soup) or banh xeo (Vietnamese pancakes). 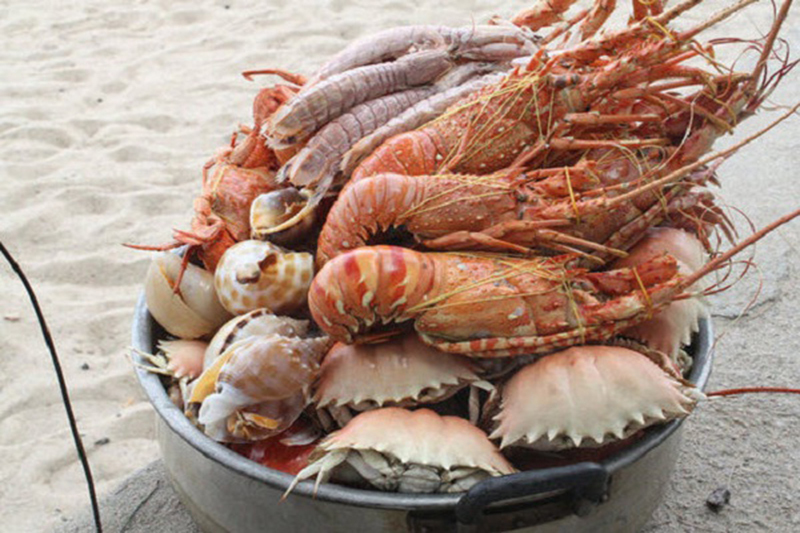 The island’s most famous specialty is moon crab that has very tasty meat, but is only available when they are in season. Phu Quy currently does not have any hotels but a few motels are located here. Homestay are also an option with prices ranging from VND100,000 – 250,000 per night. Phan Thiet can be reached by plane, bus or train. 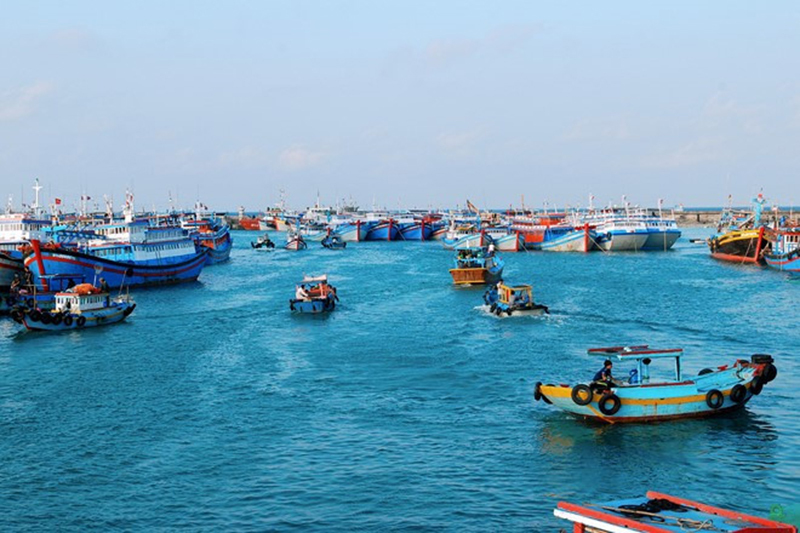 At Phan Thiet port you can buy boat tickets to Phu Quy island. There are currently high-speed and medium-speed boats offering rides to the island and you should buy tickets before in case they run out. The schedule is subject to weather conditions. Visiting Phu Yen with the interesting destinations, you will surprise before the wild, pure, peaceful beauty of the beach here.